That’s all that separates this busy mom of two (soon to be five) kids from the group known as empty nesters. While my days are normally spent attending client meetings, working in the office, cooking, shuttling kids to practices, exercising, and everything else I seem to squeeze in a single day, I was able to experience empty nest life for close to a week with Sean earlier this summer. The I-can’t-wait-to-do-it-again kind of fun. The statement above would normally lead me to mom guilt. I should want the kids with me, love every moment I am with them, and cherish our family time. I do, but what I realized with my soon-to-be husband and best friend, I have a wonderful, different life waiting for me. The feelings I have now after experiencing a kid-free life isn’t about not wanting the children, but simply looking towards the future, having tasted what our life will be like eight years from now. The week we had sans kids gave me the opportunity to experience more relaxed mornings with Sean, a busy workday, excitement when I saw his car round the corner from my office window, our daily after-work runs, walks to the market for dinner ingredients, and fun evenings spent doing whatever we wanted to do. Evenings started in the kitchen cooking together, and sharing a glass of wine from one of our favorite vineyards. Our nights were filled with telling stories of our day, laughing, and fully enjoying being alone to connect. It was a care-free, stress-free week, filled with love and laughter. There are times when Sean and I feel ready to collapse from an exhausting day of work and kid activities. In those moments, I couldn’t imagine how we would fill all the free time when the kids left the nest. After the week with Sean, realizing what life will be like when we are older and without kids in the home, I know how our days and nights will be spent. Happy, laughing, and connecting at the end of each day. It is important! Sean and I try to carve out as much time for us as we can. It’s not always easy, but we manage to do it. 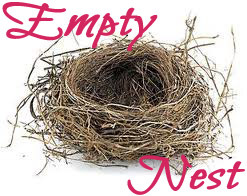 Empty nest huh!! I kinda feel like same when I start to do my home base office works each day, and when everyone gets out for their daily activities. Whole day I feel like living alone ever until afternoon the time when my sons and wife returned from their works and makes our home full again. It’s an amazing feeling and also I want to admit it’s impossible to live alone without someone company in life. Thanks. That’s awesome, Kelly! I’ve seen friends and family members from one extreme to the other, on the empty nest spectrum – from utter misery to “this is the best thing ever!” It will be interesting to see how your feelings toward the subject evolve, as those 8 years pass and the thing you’ve previewed becomes a reality. Several people have pointed out that we will likely still have a kid or two home in 8 years, but we are ignoring those comments. :) Yes, it will be interesting to see how my feelings on this topic evolve. You are welcome. Thanks for visiting!